A Billing Software that transforms whole business into new paradigm. No accounting or commerce background required. Unskilled workers can quickly learn invoicing. Handles GST, VAT, Sales-Tax, Service-Tax, Interstate-Tax, Excise-Duty, Import-Duty, Cess, Specific-Cess, and Reverse-Charge. Get billing software ready to use in just 3-Hours. 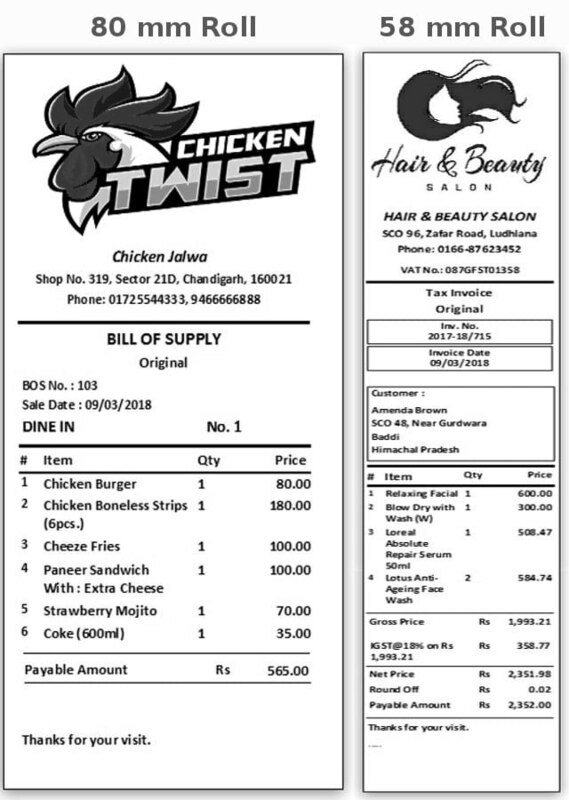 Billing Software that is best suitable for small businesses like Retail Shops, Restaurant Food Outlets, Small Manufactures, and Beauty Salons/Parlors. Small retail stores like Hardware Stores, Grocery Stores, and even Milk Booths find is most suitable for them as they have large inventory and price fluctuations. In this billing software, Bills can be added in fraction of a minute. New Customer can be added and assigned quickly to new invoices. Existing customers can be searched based on phone number, ID and other parameters and can be quickly assigned. Items can be searched and added based on Quick Search, Item Id, or Barcode-Id. There are multiple ways to accomplish these tasks so that user can opt the path as suitable to his/her operational needs. Monitor open orders from the main screen. Search Orders with various parameters. New orders can be added quickly. New customers can be added while adding orders. Current customer Orders can be filtered quickly. Existing customers can be searched/assigned quickly. Record Order status to know if an order is ready or not. Monitor Orders based on Sale Point (Table/Counter). Create Estimates/Quotes just like Invoices. Items amounts and taxes add up automatically. 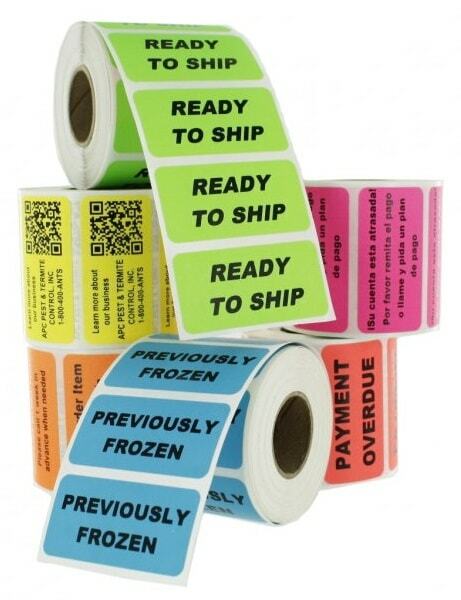 Monitor amounts receivable through color coding. System shows credit balance on order screen. Record receipts made via Cash, Card, or Cheque. Records Tips paid separately to staff. Coupon creation and redemption for Sale Promotion. Variety of Sale/Receipt Performance Reports. Export performance metrics in well formatted files. Export sale/receipt reports for easy accounting. Send SMS on completion of Order. Notifications on tasks to be performed after sale. Service Point engagement for better scheduling. Print Address Labels/Sticks for perfect shipment. Shipping Address can be added separately. Set Place of Supply to Billing or Shipping address. Sale against document/certificate like PO Number, C-Form, etc. Record sales made through E-Commerce Operator. Transport Details addable in master as well. Sell under Ship-To Bill-To model (Drop Shipping). Whether you are good at operating computer or feel uncomfortable using computer, you will find Billing Register Software easy to operate. It is designed in such a way that unskilled task force find it easy to generate invoices. So you need not to hire a professional just to operator your billing software. 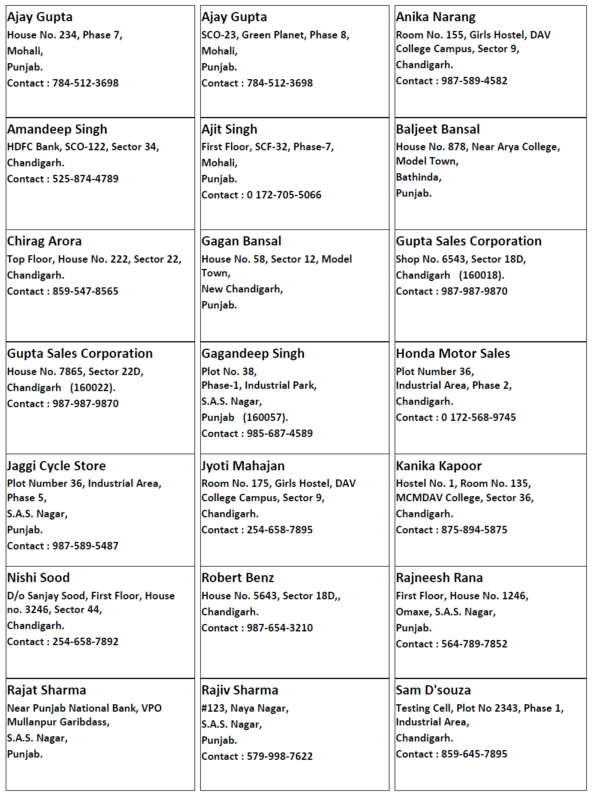 Billing Register also fits well for elderly sales people. Your existing staff can be trained. No need of dedicated sales order ticketing staff. Basic computer knowledge is more than sufficient. Unskilled workers can be trained. Elderly people can also use it easily. Meets expectations of enterprise users as well. User is notified about all invalid entries. Quick record search available at all levels. Productivity tool sales staff cannot live without. Low Setup time. Mostly Pre-configure. Software can be user ready within just 3-Hours. Maintain Holidays in Billing Software itself. Get notified about the upcoming holidays. Send wishes via SMS/Email to customers and employees on religious or other special occasions. Nice way to connect with stake holders. In this Billing Software, there are variety of options available for quick searching of desired records. Search can be generic which search all the fields or search can be applied on specific field or collectively on set of fields chosen. Complete Barcode Software that can be used to design, print, and scan bar codes. Variety of design options are available. 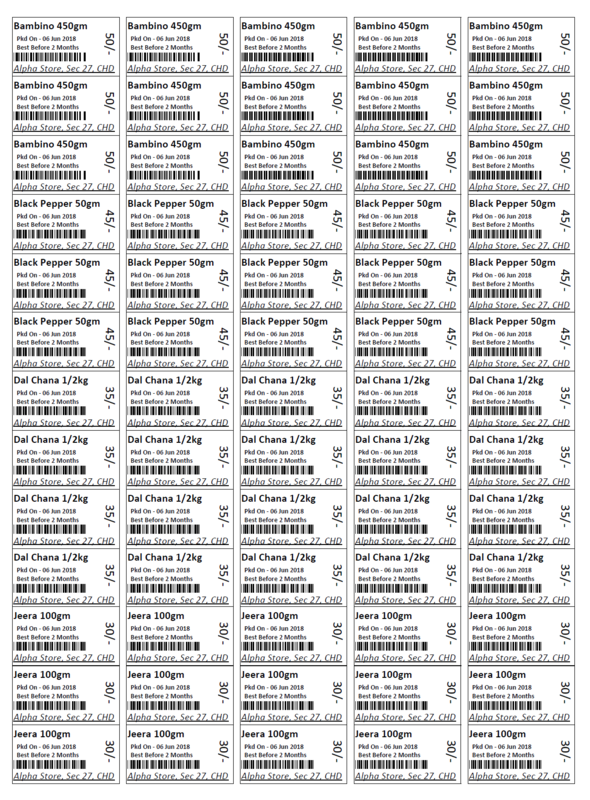 Barcodes can be printed on roles as well as A4-Paper. Items to bill/invoice can be added through barcode scanning. A unique Billing Software that provides full featured module for designing Invoice Headers. You can design your Invoice Headers the way you want them to look great. Invoices, Sale-Orders and other reports can be printed on A4, A5, 82mm and 58mm size paper. Printer options like default printer and margins can be set. Report footer texts can be configured. Invoices can be printed in bulk so as to issue a set of invoices to customer or for creating duplicate business copies. Accounting reports in ready reference formats can be generated as desired by accountant. Design an Invoice Header as you like. Add a Logo wherever you like. Print invoices on your own color letter head. Dynamically set Report Header/Footer Texts. Add Bank Details and Terms and Conditions. Show or hide Taxes based on sale type (B2B and B2C). Various methods exist on how to display tax details. Print price may be inclusive or exclusive of taxes. Print Invoice on Thermal Receipts (2-inch and 3-inch). Print Invoices on A4 and A5 paper. Have different printers for different Invoice Sizes. Original Copy, Duplicate Copy or Second Copy. Maintain Invoice Print logs to control Employee Theft. Print all invoices for a specified period in one go. Print Order Slip for quick preparation of an Order. Add extra Notes on the go to Invoice and Order Slip. Add items and additional charges with ease. Automated/Easy calculation of applicable discounts. 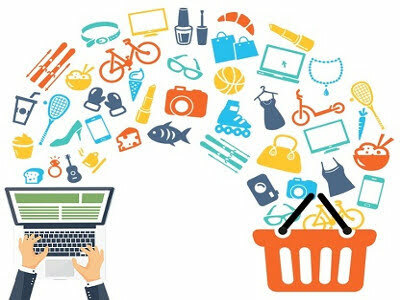 Creating sale orders/invoices and loading items into sale order is the activity on which sale people spend their 80% of the time. It is quite imperative to arm them with such a billing software that they can perform their job with speed as well as ease. Further, different people find ease in different modes. Being Discounting an integral part of any business to boost sales and give extra smile on customer’s face, Billing Registerr has specialized features to handle discounting. Billing Register Software provides all possible industry accepted methods for adding items into sale orders like adding item through free search, bar code scanning, Item ID punching and simple clicking on item category/name. Miscellaneous items like pizza toppings in case of Restaurant can be added quickly. Their pricing becomes part of the main item. Additional charges like freight, which are common for manufacturing and retail business, can be created/added. Additional charge amount, usually fixed charge, can also be auto calculated based on the sale order amount. Items can be added with smart text search. Search items based on Item Category. Items can be added with Bar-Code Scanning. Add items based on Item ID (Punching Machine). Customer specific item list filtering. Business section based item Filtering. Item code and Price displays while adding item. With/without (Extras) can be added (Like toppings on a Pizza). Additional charges like freight can be added (Default/Fixed). Set additional charge on the bases of sale order amount. Flexibility in changing item quantity and units. Change items sort order for better viewing. In this billing software, discounting can be specified based on item, quantity, or can be classified based on customer performance also. As per the pre-set options, discounting gets auto applied. A variety of manual discounting options are also available, like for any specific incident. Discounting can be applied item wise or on whole invoice. It is a rare billing software in which discount can be applied on final price i.e. price after tax, and item level discount and tax gets calculated automatically which make it super easy billing software and people really love this feature. Give discount in amount or in percentage. Give discount at item level or order level. Alert when discount given is more than the maximum allowed. Directly change sale price to auto calculate discount. Change sale price at item level or order level. Give discount on after tax amount. Pricing, discounts and taxes get calculated automatically. Set discounting at customer and item level. Specify Quantity pricing to auto discount large orders. Automatic price calculation as per unit selected. Automatic price calculation as per quantity selected. Change Item List Price on the fly (without changing master). In Chartered Accountants' world, Taxation capabilities define the level of any billing software. Billing Register is the best software ever developed having great tax calculation capabilities. All kind of taxes like GST, VAT, Sales-Tax, Service-Tax, Interstate-Tax, Excise-Duty, Import-Duty, Cess, Specific-Cess and Reverse-Charge can be created and configured as per domestic/international tax rules. All the taxes get automatically applied/calculated in invoice as per the sale-type, sale-geography, customer-type and item. There is an option to include sale-tax into cost part for calculation of subsequent taxes (tax on tax) as applicable in some countries in the case of excise duty. Taxes can also be defined for additional charges. All kind of taxes are supported such as GST, VAT, Sales-Tax, Service-Tax, Interstate-Tax, Excise-Duty and Import-Duty. Taxes get automatically applied/calculated in sale order as per the sale-type, sale-geography, customer-type and item. Option to include sales-tax (like excise duty) into cost part for calculation of subsequent taxes (tax on tax). Supports separation of sales taxes based on geographical location. Facility to separate sales taxes based on business sections. Option is there to calculate Tax on Tax. Supports Cess and Surcharge also. Supports Quantity based taxation as applicable in case of Tobacco, Cigarette, Alcohol etc. Also supports charging of tax based on List Price and MRP. Taxes can be separately defined for additional charges. With/Without items inherits the taxes from primary item. Facility to change tax rate/amount on the fly (Without changing master). Tons of report formats to ease filing of tax returns. Every business is unique and so is its inventory. Billing Register offers a variety of ways to record all kind of properties attached to items/goods/services. You can define item properties (unlimited) like size, grade, validity, expiry, product line etc, and print them on invoice when desired. Billing Register is the only Billing Software where Pricing can be defined Exclusive as well as Inclusive of Taxes. This feature makes it a billing software which is best suitable for small businesses like Retail Shops, Restaurant Food Outlets, Small Manufactures, and Beauty Salons/Parlors. Even Quantity pricing can be defined, and applied automatically while creating Invoices. Discount ranges can be defined. Taxes applicable for various sale types can be defined. Pre-generated Barcodes can be attached; even multiple barcodes can be attached to single item so as to keep similar items under one code. Split items into Categories for easy categorization. Items automatically inherits details from Item-Category Level. Record basic Item Info like Name, SKU, Internal Code, HSN, etc. Define kind of item like Good, Service, Composite Item, or Mixed Item. Create Items with duplicate named but different properties. Record measurement type and unit for items (mostly inbuilt). Create additional measurement types and units as desired. Unlimited Item Attributes for better item detailing. Show/Hide items attributes on internal/external reports. 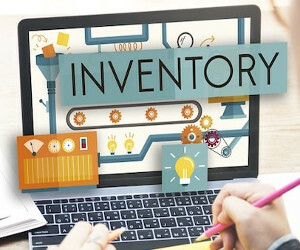 Item location in the store/warehouse can be specified. Billing Software Best Suitable for Grocery Store having large Inventory. Pricing can be marked inclusive/exclusive of taxes. System automatically converts pricing on change of units. Array of discounting options are available. Pricing based on Quantity can be defined. List price and sale price both changeable as per quantity pricing. Quantity pricing helps in easy discounting for large orders. Quantity pricing helps in easy surcharging for quite small orders. Ability to hide price related info in item code. All kind of tax details can be linked to item. Define additional charges like Freight. Define Tax details for additional charges. Quickly review & edit price list through Import/Export to Excel. 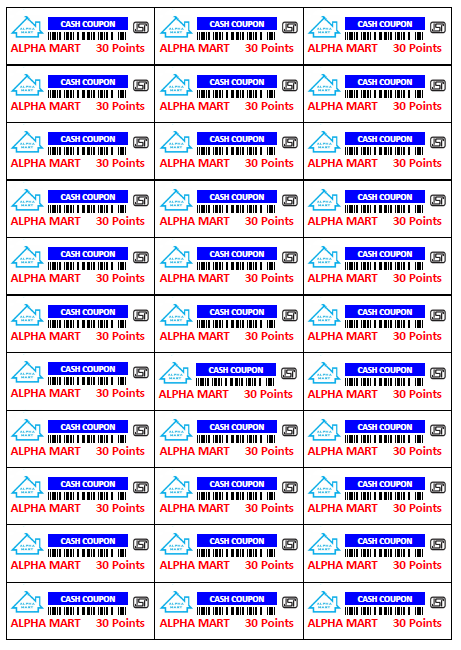 Multiple barcode per items for easy grouping. Item Label Stickers can be designed and printed. Unlimited formats for Item Label Stickers. Quickly create new items via copy feature. Deactivate old inventory items, instead of deleting items. Supports With/Without items to add extras to main item. Search items on various parameters. Split items among business sections. Get Items performance statistics for better business control. Billing Software Best Suitable Retail Stores like Hardware Store having large inventory and frequent price fluctuations. Customer, the heartbeat of a business, requires your special attention. 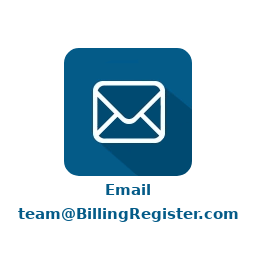 Billing Register Software provides ways though which you can connect with your customer and make them feel that they are special to you. Develop a healthy relationship with your King to get unbelievable success in your business. Record customer’s Basic Information. Supports multiple addresses. Record customer contact info, and record sub-contacts. Clear separation between B2B and B2C Customers. Mark Phone/Email as Active/Inactive and mark DND. 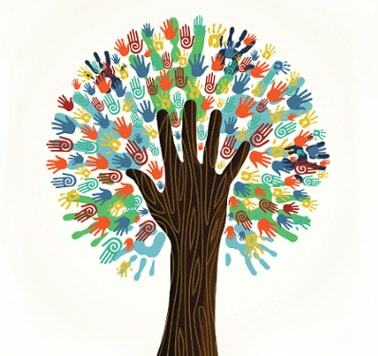 Group customers into unlimited segments. 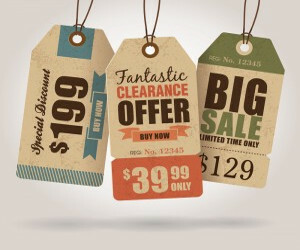 Define customer specific discounting and sale type. Auto set location and taxes on creation of new order. Define customer specific Item Categories and Payment Terms. Check Client Purchases/Payments and Balances quickly. Search customers on the bases of several parameters. Print Address Label Stickers for customers. Be notified about Customer's Birthdays and Anniversaries, and wish them. Send messages to customers in bulk. Import/Export Customer Contacts from/to vCard file format (cellphone contacts). Export Customer Contacts to Excel file. Merge duplicate customers. Get key customer performance indicators. Point of sales (POS) like tables, chairs, or counters can be created. Clients can be guided about free or busy POS locations. Additionally, sales can be analyzed based on POS. 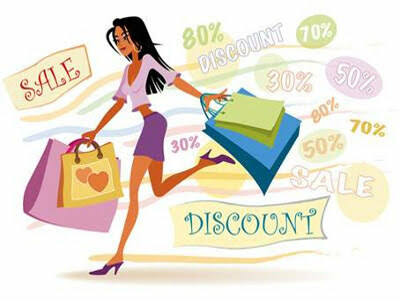 Issuing discount coupon is a great way to bring in new customers. Billing Register can help you in generating new coupon codes and recording which has been used and which not. Sales order status can be linked to color coding so that sales order screen can provide quick information like deficit balances received, advances received, orders cancelled or orders pending/completed. To strive for expected business growth, one needs to connect with Customers, Vendors, Employees and other stakeholders via SMS and Emails. For this to be accomplished successfully, one needs a tool which can make this task streamlined. Billing Register is such a tool which can assist in automating your marketing. The more you use this tool, the more it will help you boost your business. Record Customer Phone Number while adding sales order. Record DOB and Anniversary for better, Personalized, Customer relations. Reminders on birthdays & anniversaries of Customers & Employees. Send SMS to Customers/Vendors via 3G-Dongle or SMS Gateway. Support unlimited SMS Gateways. Just configure API. Send message to Employees and other business contacts. Send messages right from sale order screen. Send messages like “Material ready for delivery”. Send messages like “Thanks for purchasing with us”. 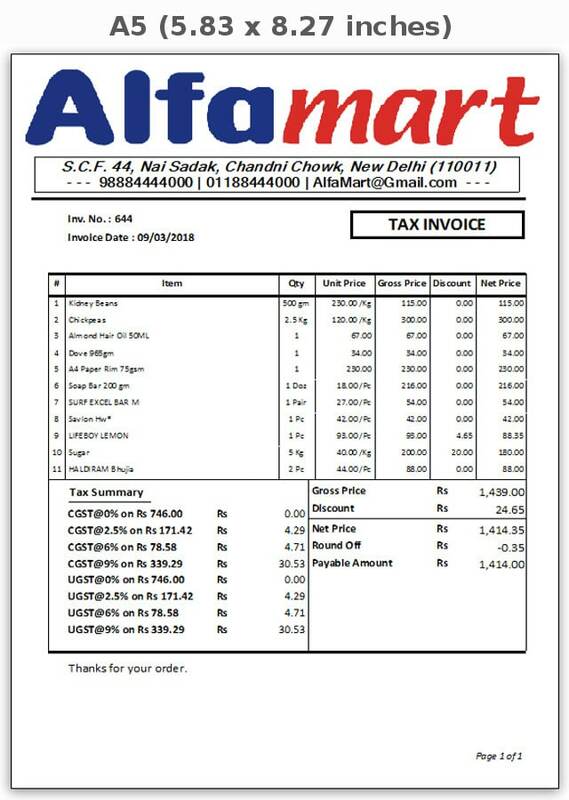 Send order information to owner on printing Invoice. Split contacts into various groups based on keywords. Import/Export contacts from/to VCF file (Cell Phone Format). Add custom prefix to contact name before export to VCF. Holiday Calendar for publishing wishes. Create unlimited Wish/Message templates (with smart tags). Link message template to form/module (like message only for clients). Customized message recipient groups. (Full SQL Support). Bulk Marketing Groups for storing/capturing marketing data. Buy marketing data and import that into software. Auto extract/import marketing data (Phone/Email) from Text Files. Auto crawl internet/websites to collect targeted marketing data. Send emails via Outlook as well as SMTP Email Server. Store SMTP email server settings. Any number of SMTP servers. With Billing Register, possibilities are unlimited. Sell anywhere in the world, you will never feel being limited in any respect. Unfold your business into new geolocations with exporting. Sell in any geography you like. Create unlimited sale books like local sale and interstate sale. Supports Geo-Locations like Export, SEZ, Inter-State, Local Sale. Split sale book on the bases of credit sale and cash sale. 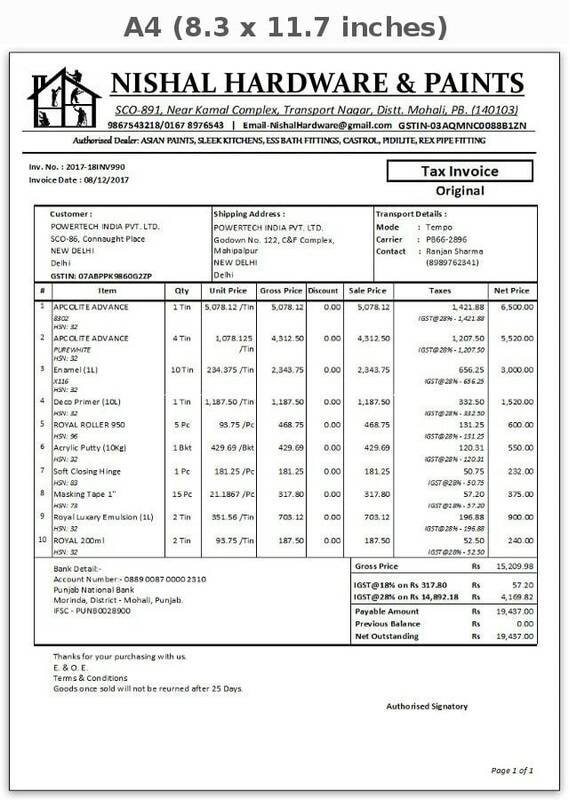 Various Invoice Formats as per Sale Type. Control display of Tax information on invoice. Include/Exclude Tax amount in Invoice Amount. Define variety of report headers/footer. Separation of sales taxes based on geographical location. Define if sale taxes are applicable for reverse charge. Define reverse charge percentages as applicable. 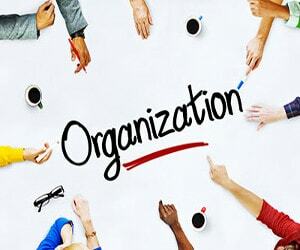 Basic Organization Details, with Contact Information. Short/Long addresses for different purposes. Financial Year creation, closing and locking books. Design customized report headers (for A4 and A5 reports). Add organization’s logos (Smaller ones for Label Stickers). Design/Print Organization’s Address Label Stickers. Split business into sections for better control on business. 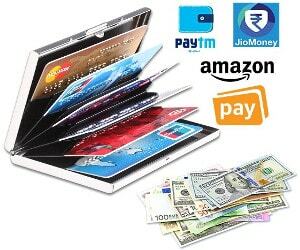 Receive/Make payments through all possible methods. Local Currency denominations can be configured. Smartly calculate change payments in-case of delivery orders. System smartly calculates round off amounts. Definable local currency symbol (Else Short code). Supports multiple currencies (Needed in case of exports). Generate Invoice in local as well as foreign currency. Auto generates currency conversion rate in case of exports. Converts foreign currency to local currency for easy accounting. Get client balances in foreign currency and local currency. A full fledge module is available for employee and their role management so that they have access to only areas as applicable to them. Employee picture, contact details, emergency contact details, qualification/skills details can be added. Employee signatures can also be added so as to auto sign the reports. Record employee family contact info for emergency situations. Record employee signature for auto signing. Create records in employee maters for easy data entry. Record employee skills, certifications, qualification, work history etc. Record state issued identification details. Wish employees on their Birthdays and Anniversaries. Send messages to employees in bulk. Mark employee as sales representative. Sell through Channel Sales Partners. Monitor any kind of Employee Theft. Know your employee performance in terms of money. There is variety of settings available to run/configure software as per business needs. Settings can be done at business wide level, or can be set differently for each workstation. There are master forms for recording all kind of master data so that business can add/edit master data as per its need or choice. Design queries in SQL and run them to extract data you want. Exports whole data in Excel for further analysis by business owners. Add stickers/labels to your business for building brand image as well as having high quality presentation. You can design any kind of sticker template as you need which derives its text dynamically from data fields stored in database. Print stickers in A4 sheets as well as Sticker Rolls (Any Cut Size). Design your own stickers within the software. Design address labels for pasting on files, letters and cards. Design Items labels for pasting as Item-Description Stickers. Design Item Dispatch Stickers having address, item detail and dates. Design Cash Coupons redeemable by end user. Derive information from Organization, Customers, Items etc. Mark any field-value as Barcode. Dynamic Width. Display Price (MRP, LP etc), and Tax info vertically oriented. Print on Multi-Column Rolls and design stationary as available. Print on A4-Size Pre-Cut Sticker Sheets. Unlimited Stationary. Reuse A-4 Sheets if partially used last time. Pre-Loaded mostly available sticker stationeries. Design your own custom stationary and sticker accordingly. Set font size/weight/color and text formatting. Dynamic text alignment, margins and orientation. Load Image as background for better graphics. Woks with all printers. Just map printer with stationary. Set margins in template according to printer capabilities. 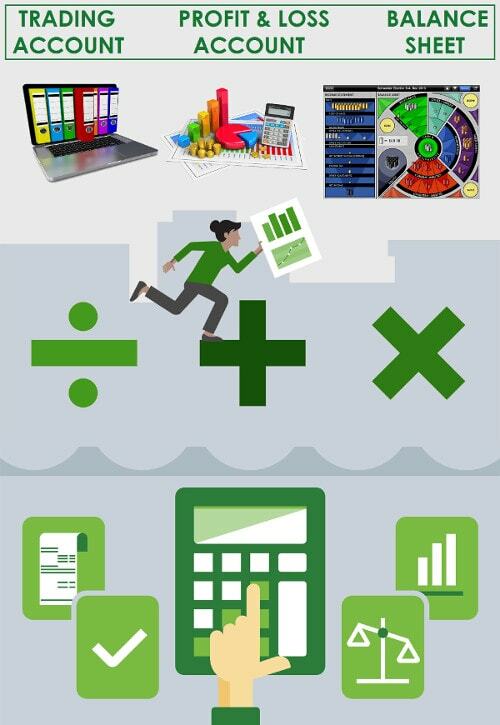 A complete and thorough module is available for book keeping. Journal Entries can be passed, and posted to ledgers. Transaction wise ledger view is available. Data is viewable as per chosen financial year. Final Accounts i.e. Trial Balance, Trading Account, Profit & Loss Account and Balance Sheet are available. Auto calculation of depreciation on fixed assets is also available. Create Masters (Super-Groups, Groups and Ledgers). Journal Entries can be copied for quick entry. Bulk copy of Journal Entries. Ledger shows Transaction wise balances. Look at Day Wise and Monthly Balances. Quickly change Accounting Groups and Super Groups. Merge Ledgers for concise account heads. Definable Checks to control bad account balances (Esp. Negative Cash). Supports multiple financial years in single file. Nice View of Final Accounts i.e. Trial Balance, Trading Account, Profit & Loss Account and Balance Sheet. Auto calculation of depreciation on fixed assets. 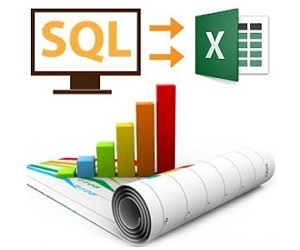 Export to excel available at all levels. Search records based on multiple parameters available at all levels. To set up software for yourself, are you looking for free professional help? To make sure taxes are setup right? To make sure inventory is setup properly? To make sure invoice formats are right? To make sure that ultimately you win? Remember, there are large number of great billing software available in the market, but their poor support fails the software users in realizing their true potential. Fact is that people who try installing/setting up invoicing software themselves (without proper support/training) seldom reap the fruits. Considering this risk, we do not provide any direct link to download copy of software, but we will do it for you. We provide professional technical support for free so that there is no hiccup in installing/configuring the software right as per your specific needs. We prefer to have online meetings with clients during which we should be able to share the screens along with having chats (audio as well as video). Please share your business information (Business Name, Business Size, Business/Industry, Location, Website, Email, Phone, Proffered Online Chat Platform, Online Chat Platform ID, Preferred Date/Time for meeting and any Additional Note) while contacting us so that we can serve you better. We use anydesk for conducting online meeting for screen sharing which is a free app and can be downloaded from www.anydesk.com.